2012 was an impressive year for cinema. Looking back at the films I saw over the past year, there were at least 60 that I considered to be called good or great. I have taken that list and condensed it to 30. This task was not easy for me to do. Every film that I have listed impacted me one way or another, whether emotionally or intellectually. Lists are something that I have always enjoyed doing. As with most things in life, there are negatives with lists as well. Since I am not paid to watch or review films, I can only see so many movies in a given year. Sadly, that is the case for my 2012 list. I have waited as long as possible to try and catch up with as many films as I could. While I am satisfied with my list, there are a few films I would like to acknowledge not seeing before we get started. 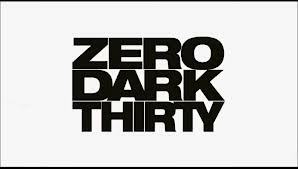 These include, This Is Not a Film, Elena, The Kid With a Bike, The Turin Horse, 5 Broken Cameras, The Imposter, The Loneliest Planet, The Invisible War, Frankenweenie, Rust and Bone, The Impossible, ParaNorman, Wreck-It-Ralph, Safety Not Guranteed, Your Sister’s Sister and The Pirates! Band of Misfits. With that being said, I have decided to start this by listing my 30-11. After that, I will begin my top 10 and say a few words about each film in that top 10. P.S. I had a tragic laptop accident this year, and have not had my computer for a great deal of 2013. I hope that those of you who read this can still find something worth while out of this post. It was been a rough year, but I hope 2014 is a better year! I feel very ecstatic that I have finished this post, even if for my own personal enjoyment, and a feel of resiliency. Thank you for reading! This adaptation of the book, which also was written by the director, is a emotional roller coaster. This film hit me more emotionally than any other movie did in 2012. I was a big fan of the book and read it in my early 20’s. Chbosky did a wonderful job of making his novel come to life. His cast was also well thought out, including stand out performances from Emma Watson as Sam and Ezra Miller as Patrick. In 2012, I don’t think there was a more polarizing film than Cloud Atlas. In most cases, people either seemed to love it or hate it. I fell on the love it end. The film, which was adapted from David Mitchell’s novel, consists of six intertwined stories about linking souls throughout the world’s history. While I will admit that the film is a bit messy, I will also admit I am a fan of ambitious films. This film was a revelation to me, and it’s a film that might be considered a masterpiece someday, in my opinion. This was probably the most gut-wrenching film I watched in 2012. The film is centered around an older couple that seem to have been married for a good portion of their lives. The woman, played wonderfully by Emmanuelle Riva, has a stroke early in the film, and the husband, played by Jean-Louis Trintignant, takes care of his wife to the best of his ability. As time goes on, the wife gets progressively worse, and their relationship becomes strained. I’m not sure if Haneke was being compassionate or putting us through hell in this film, but either way the film is a work of brilliance. Mendes entry in the Bond franchise was a huge success. While most will tell you that Casino Royale is the best of the Craig era Bond films, in my opinion Skyfall exceeds it. In fact, I will make a bold statement and say that Skyfall is the best Bond film in the series. Not only do you we get a memorable villain played wonderfully by Javier Bardem, but immaculate set pieces and art design to go along with well choreographed action scenes. Also, it doesn’t hurt that Roger Deakins did the cinematography either. If you have yet to see Skyfall, please run to your nearest red box or home video store and rent the damn thing! Life of Pi was a film that I really had no interest in seeing. I had never read the book, and the trailer looked like something that would bore me and try to manipulate my emotions. Thankfully I can say I was wrong. 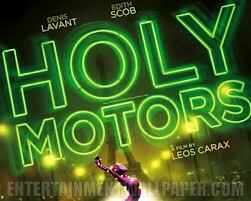 This film is a inspiring story and felt like an injection of emotion rather than a manipulation. This was a visual masterpiece by Ang Lee, and I was more than happy when he was given the Oscar for best director this year by The Academy. Anatolia is the first film I have seen from Turkish filmmaker Ceylan. Ceylan is a known talent, and after watching the film, not only did I want to check out his whole filmography, but I went to amazon and ordered the blu ray as well. This film is a slow burn. It clocks in just over 2 and a 1/2 hours long and yes at times you can feel its length. But if you stick with it the film is rewarding on multiple levels. Essentially, the film is about the search for a body that has been hidden away in the Turkish hills of Anatolia. The night before, a man killed another man while drunk, and hid his body. He then turns himself into the authorities and they go on a hunt to find the victim’s body. This film is haunting, absolutely gorgeous and meditative. This is a film that I urge everyone to seek out. 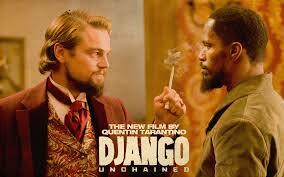 With Django, Tarantino again churned out another masterpiece. He is a filmmaker that continues to exceed my expectations and pushes boundaries that many directors shy away from. Is it ultra-violent? Yes. Can it be seen as exploitive? Probably so. And could it be seen as an excuse to excessively use the N-word? Again I could see that. But in the end all these so-called problems and excuses are thrown out the window for me because it’s one hell of a ride, and I didn’t want to jump off at any point. The film worked for my on every level, including highlight performance from Leonardo DiCaprio, Christoph Waltz and Sam Jackson. I can’t wait to see what Tarantino has in-store next! Words can’t describe what it’s like seeing this film for the first time. I was lucky enough to catch this on the big screen on my local art house theatre. This film blew my mind, and in doing so reminded me what the power of cinema can do, and the places it can take you. I would rather not talk much about the film and just tell everyone to go see this. I believe it is now on instant netflix, and it is worth every second. Carax has created something that I can honestly say I had never seen before. Not to mention the star of the film, Denis Lavant is a revelation. I don’t believe there was a film I discussed more in 2012 than P.T. 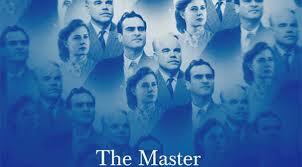 Anderson’s The Master. It seemed that every person I talked to had a different reading of the film, and to be honest I love that about this film. This is a layered film that requires multiple viewings. It’s a film that had me thinking about it the second I left the theatre and a week later I was still thinking about what exactly I had experienced. I could, and probably will someday write an essay about this film, and I’m sure many film students will do the same in the coming years. In my opinion, P.T. Anderson is one of the greatest filmmakers making movies today, and when he makes one it’s an event. Beautifully shot and brilliantly acted, this will go down as an American classic, just like his last film There Will Be Blood. By the way, welcome back Joaquin Phoenix you were terribly missed! When I go back and think of 2012, this film will be the one that sticks with me more than any other on this list. In my opinion, this is a masterpiece. I had so many emotional highs and lows while watching this film. Starting with the controversial torture scenes from early on in the film, all the way to the final scene in which we see our heroine break down from what she has gone through over the course of the film. Was it worth it? That is the message I believe the film is striving to ask, and through Bigelow’s camera the question tries to get answered. Capturing Bin Laden was a major accomplishment for our country, but what was the cost in doing so? In my opinion, Bigelow has made a film that doesn’t shy away from these questions, and I give her a great deal of credit for that. Jessica Chastain puts in her best performance of her young career as Maya, and in my opinion should have won the oscar for best female lead. This is cinema at it’s finest. ← Favorite Albums of 2013 So Far (Through June 4th).